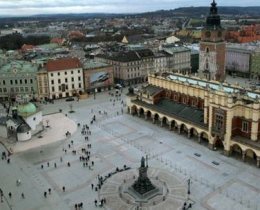 The Jagiellonian University of Krakow is organizing The Twelfth International Conference on English and American Studies “Languages, Literatures and Culture in Contact: English and American Studies in the Age of Global Communication”, which will be held from 27 to 29 April 2011. The conference will host a panel on James Joyce entitled “James Joyce: Local, Global, Universal”. The organizers invite papers that discuss the dialectics of space in Joyce’s works, be they geographical or mental spaces, contributions that explore the development of Joyce studies and the impact of the multiple aspects of globalization on the respective academic research. The abstract submission deadline for papers is 15 December 2010. Proposals should be sent to Katarzyna Bazarnik at k.bazarnik@uj.edu.pl	and	Dirk Vanderbeke vanderbeke@t-online.de. More information about the event on The Twelfth International Conference on English and American Studies. A Flann O’Brien conference will be hold in the University of Vienna next July 24-26, also considering the numerous connections between O’Brien and Joyce, who even turns up as a character in O’Brien’s The Dalkey Archive. To propose a paper (in English, not exceeding 20 minutes), you can submit an abstract of 250 words accompanied by a short bio­graphical sketch to the organizers: wern.huber@univie.ac.at, paul.eamonn.fagan@gmail.com, rubenborg@mscc.huji.ac.il. There will be presentations of papers but also alternative forms of discussion: e.g. debate motions (and debaters), themed panels, poster sessions. Deadline for submission of proposals and abstracts: 1 February 2011. 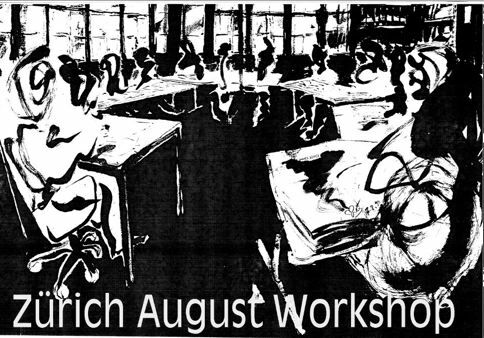 The Zurich James Joyce Foundation organizes an international workshop entitled “Pierced butnot Punctured” which will be held from 31 July to 6 August 2011.